8 x DDR4 DIMM sockets supporting up to 128 GB of system memory. * Supported when using a 44-lane or 28-lane CPU (6-core or above). 4 x DDR4 DIMM sockets supporting up to 64 GB of system memory. * Supported when using a 16-lane CPU (4-core). Supported when using a 16-lane CPU (4-core). 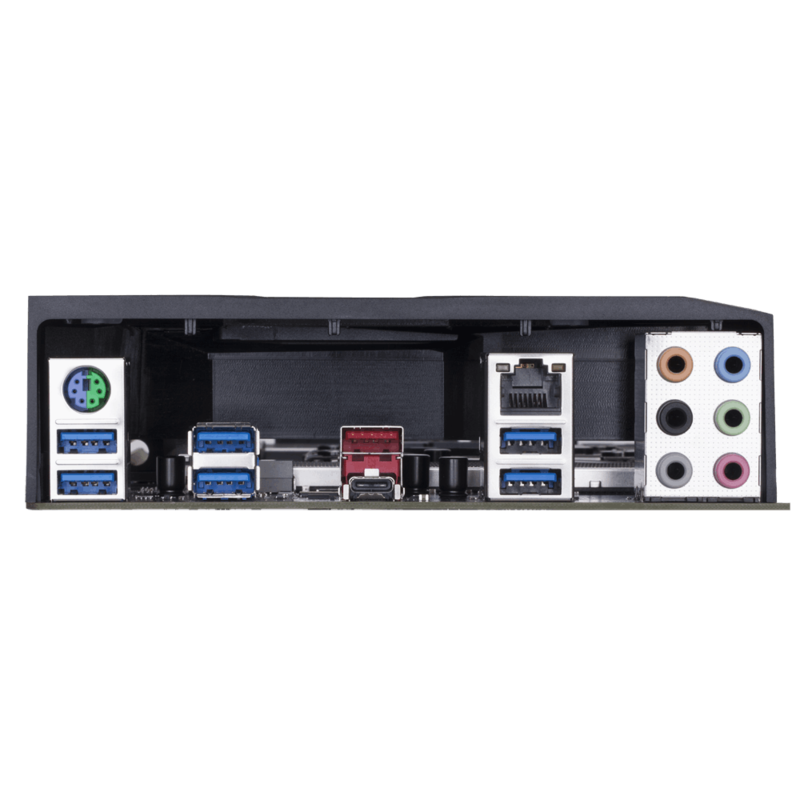 * Refer to "1-6 Setting up AMD CrossFire™/NVIDIA® SLI™ Configuration," for the installation notices for the PCI Express x16 slots. ∨: Installed, ╳: Not Installed. * Supports the CrossFire technology only. * Refer to "1-9 Internal Connectors," for the installation notices for the M.2 and SATA connectors. * R-DIMM is not supported. (Note) Please update the latest BIOS for ME Firmware before installing this driver. (Note) Please install Microsoft .NET Framework 4.5 first. (Note) for 7th Generation Intel® Processors only. (Note) This tool/driver is required when the BIOS is set to Legacy mode. 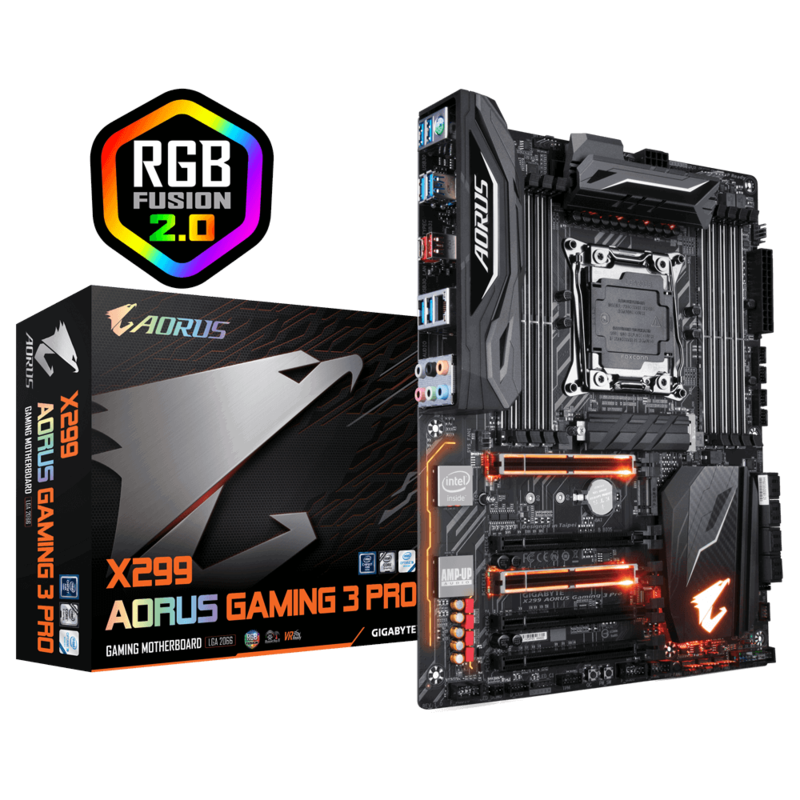 (Note) Support Intel X299 series motherboards with Intel Core i9-79xx series/78xx series (support may vary by model). (Note) Please installing Microsoft Hot fix first, if operation system is Windows 7. (Note) Support Intel X299 series motherboards (support may vary by model). 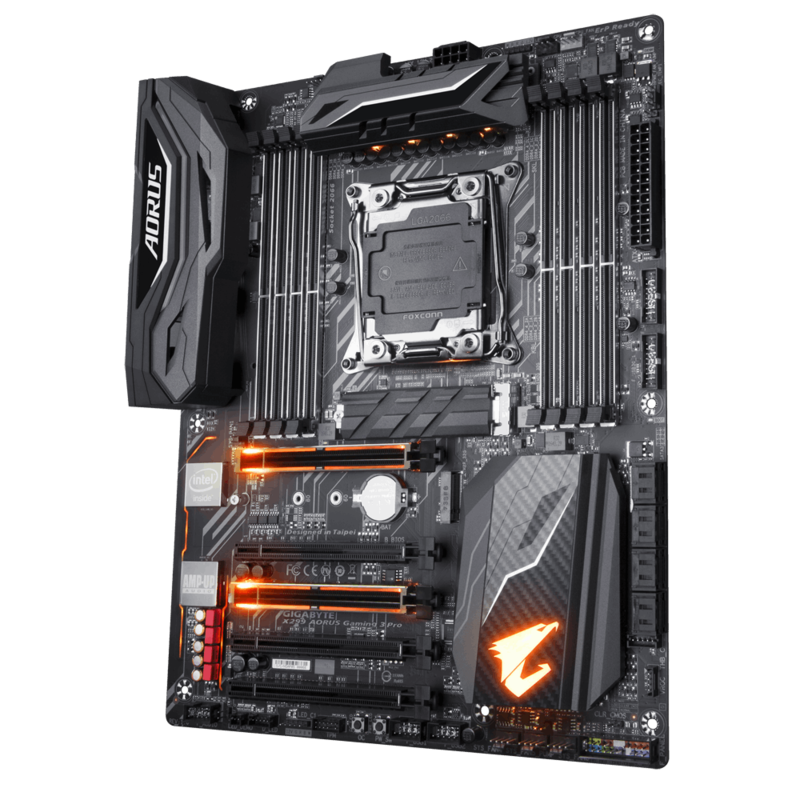 Support Intel X299 series motherboards (support may vary by model). 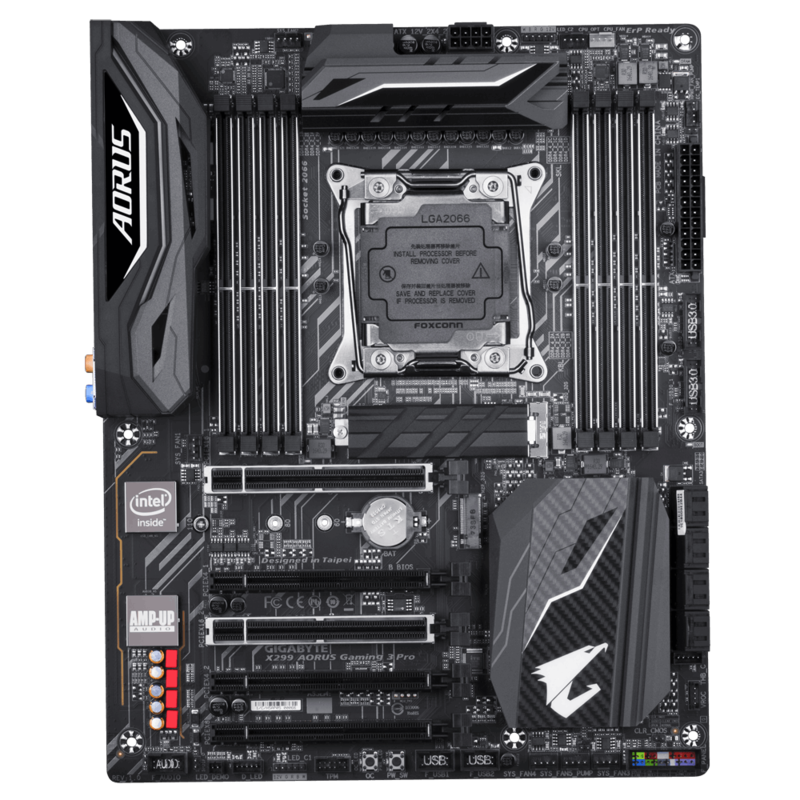 (Note) Support Intel X299 series Dual BIOS motherboards (support may vary by model). 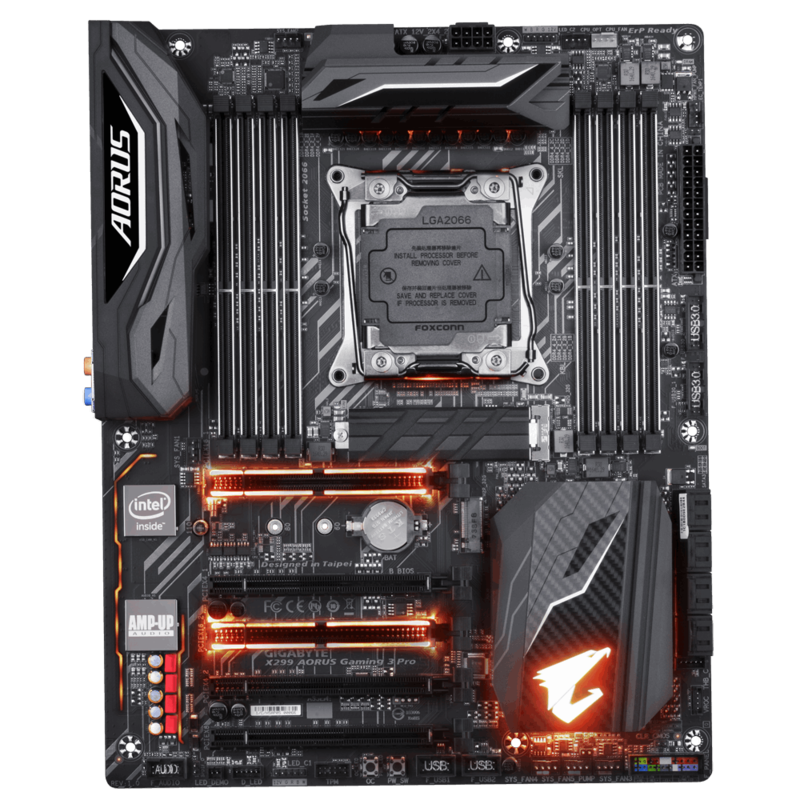 (Note) Support AORUS series Motherboards. (Note) Support Intel 100/200/X299 series motherboards. 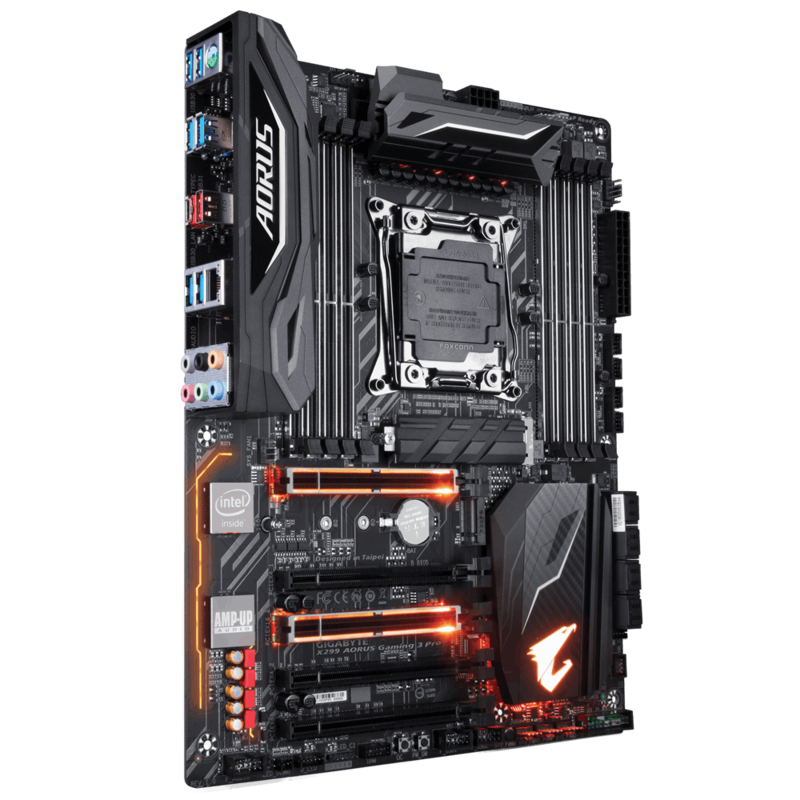 CPU-Z and HWMonitor reports incorrect CPU VRIN value in Core Voltage while using Skylake X processors (6 core and above). Last 2 SATA ports (SATA3 6/7) do not work. How to install Windows 7 when there is no USB inbox driver support? USB 3.0 performance drops after system shut down in Windows 8.